Hello Barbie Doll! | Just Jess Fashion! Beanie: Saks Accessories: Tarina Tarantino. 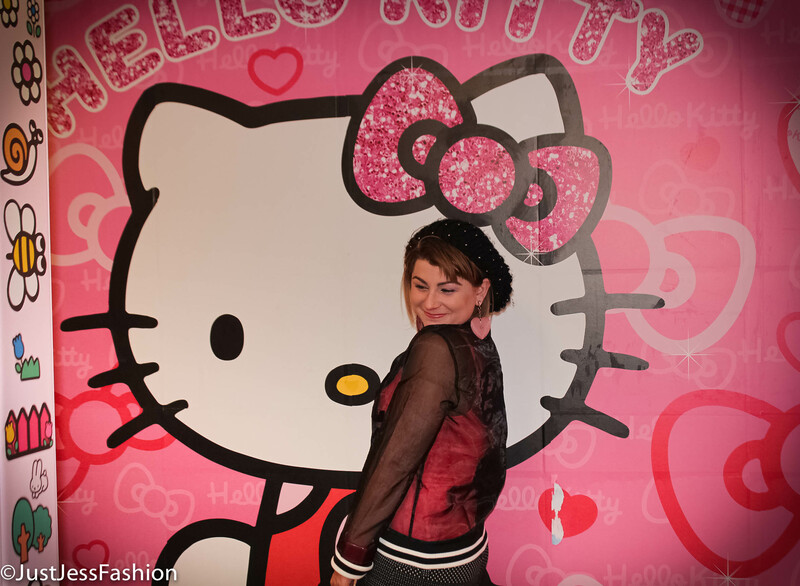 There are some things I have loved since as long as I can remember and the 2 things that top my list are Barbie and Hello Kitty. I was beyond thrilled when I found out that not only was Wildfox creating a Barbie collection but Forever 21 was as well. I had completely forgotten about this collection until a makeup emergency brought me to the mall last week. I always try and talk myself out of a trip to Forever 21 because I know the possibilities of getting myself in trouble are imminent. However, when it comes to Barbie and me, ya can’t fight fate. And sure enough when I walked through the already opened doors (I should have known that would be a sign,) there it was in all it’s pink, blonde and affordable glory. The Barbie collection by Forever 21. Naturally I wanted everything. The backpack, the brush, cropped tops! I had to fight the urge to spend every penny I had, and settled for just this one black sheer jacket. There were only 3 left, I had to act fast! Plus, crop tops have never really been my thing. I also ended up getting a reusable tote for whatever fabulousness gets thrown my way. Truthfully the only reason I absolutely had to have that was because Barbie was driving a pink corvette identical to the one I used to drive when I was 4. Best car I ever had. Even if it did only take me to the end of the block. Oh, and are you ready for this? The best part of this collection are the price points! This amazing jacket only cost me about $17! The next thing on my shopping list is the fuzzy pink sweater with Barbie written on the front! That piece is only $25! I apologized to my boyfriend for splurging but also reminded him he knew what he was getting himself into when he started dating a Barbie girl! Special thanks to Rolling Moon Sushi Rolls in Murrieta for allowing me to utilize their restroom for this photo shoot. They have the best sushi in town! Makeup for this shoot done by Sorelle Orson. Book an appointment with her, she’s absolutely fabulous and makes you feel as pretty as a Barbie doll! E-mail her at Sorealmakeup@yahoo.com. As far as heels go, Brian Atwood knows how to make em’ comfy. I love that you found all of that and at a price at this time when your car must take precedence!!! My Niece you have been a Barbie girl from the day you were born!!! Your Momma brought you into this world with Barbie and pink embedded in your genetic make up!!! 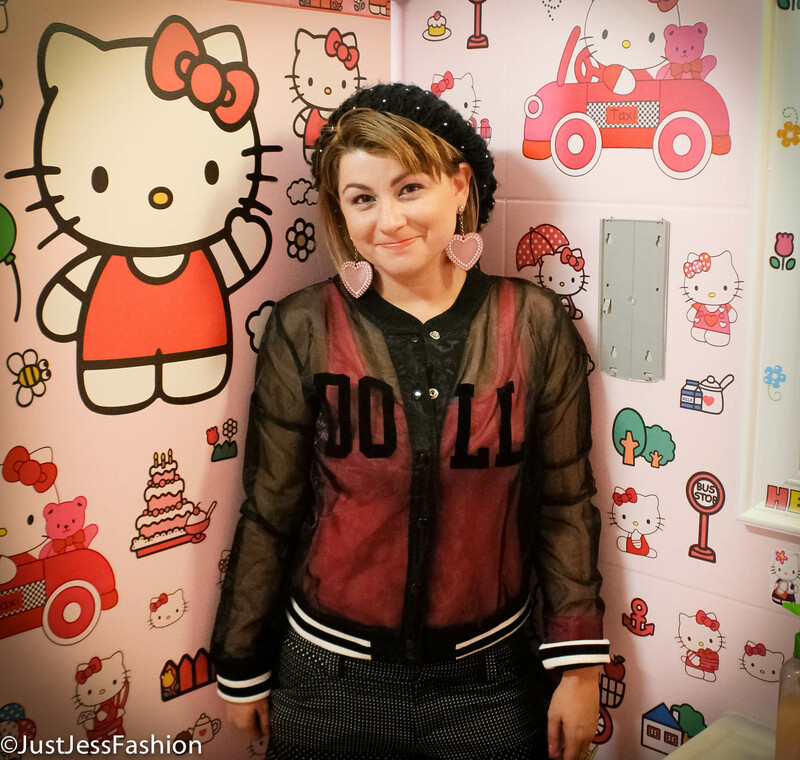 I love the jacket it is so you and I love that you get to use the Hello Kitty area to take pics it all screams Jess to me. To bad that you don’t have your little cousins with you they would be so excited to share in your enthusiasim. But you said that there were only 3 of those jackets left and you got 1 of them! So that would leave at least 1 of those girls without a jacket and that would be a sad situation!!! Enjoy sweetheart the outfit screams barbie!! Which in all actualality probably should have been part of your name!!! Enjoy your new jacket beautiful!! Enjoy! !